7pm - We left our anchorage at Zavodovski this morning to try to find a landing spot on the island. After searching for two hours without success we decided to leave for Visokoi (the next island further south, 3hrs away) and try our luck there. At the last minute, Ben our skipper found a promising spot for landing on Zavo. We approach in the Zodiac and try it and it works (but not without getting quite wet from landing in strong waves)! I got on shore with Ben (the other Ben, our polar guide). 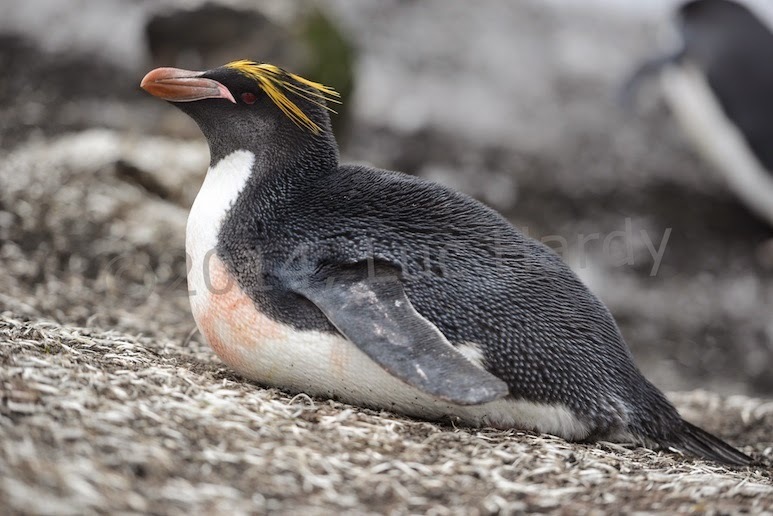 Magnificent scenery, few hundred penguins on shore (mostly Chinstrap but also a few pairs of Gentoo, Macaroni and King). If as they say there are 2 million penguins on this island, they’re well hidden. More likely, they will be coming later in the spring? In the next Zodiac, Geraldine arrives with Bertrand (our fearless cameraman). We all proceed to the top of Mt Asphyxia (550m), a relatively easy climb. Eventually Geraldine departs for a ride down the mountain (probably a "world first") from this point. We can see fumaroles coming out from the top of the volcano. At 2:30pm we’re all back on the boat and head towards Visokoi. 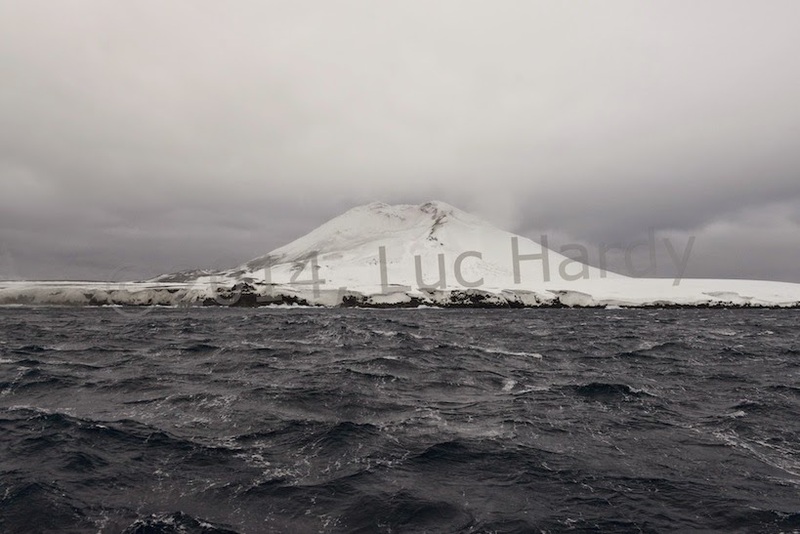 But after two hours of navigation we are intimidated by the pack ice which has accumulated around the island. It would probably be possible to go through to reach the shore but hard to predict the timing. So we decide to retreat and go back directly to South Georgia where we still have a lot to do. We expect to be back in SG on Monday morning after two and a half days at sea. 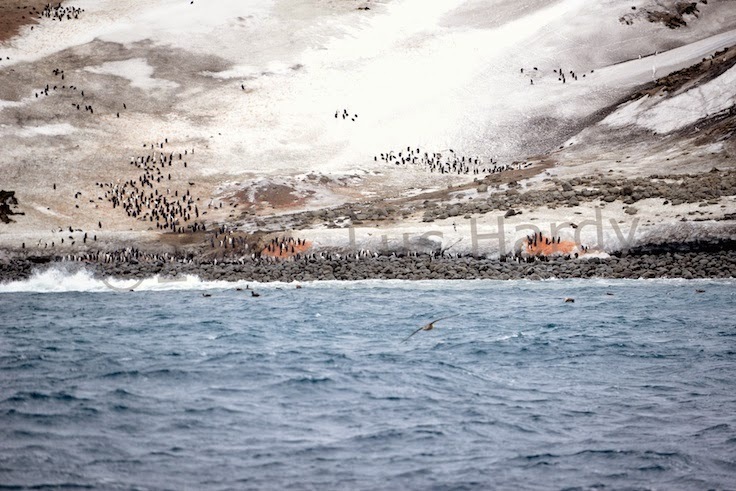 Landing spot on Zavodovski island – the penguin colony.